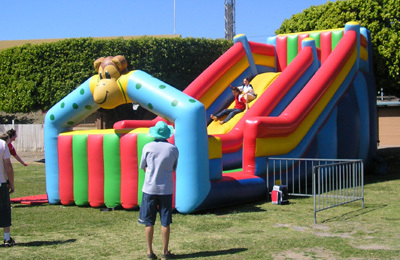 Jumping Castle and Slides are guaranteed to keep the children and adults amused for hours. 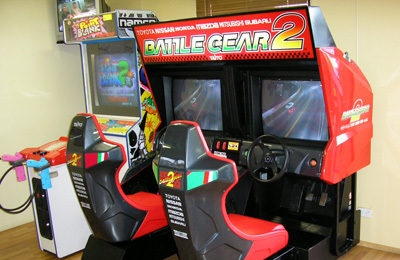 Car Racers, Pinball Machines, Hockey and Soccer Tables, Pool Tables and Jukeboxes. Before you make any decision regarding your next event, why not draw on our expertise? 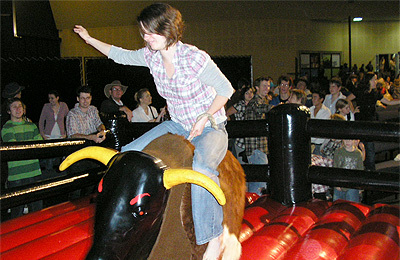 As leaders in party hire and entertainment equipment on the Gold Coast and Brisbane, Active Amusements & Attractions has been providing mechanical bulls, arcade games, jumping castles, children's slides, rides and many other party hire games and amusements for over 10 years. We provide corporate event hire, as well as services for school fetes, church groups, private party organisers and fundraisers. We provide the latest equipment for you to hire, and our rides are fully supervised by trained, professional, courteous and fun operators. Active Amusements & Attractions’ services include rides and amusements for adults and children, carnival games, team building services, arcade games and mechanical rides like the mechanical surfboard and mechanical bull hire, to name a few. We provide the original & best party hire in Queensland; click on 'Rides and Games' above to read more. As an established provider of amusement games and hire in Brisbane and Ipswich, we're flexible in making your party, event or school fete successful. We do this by providing fun and creative entertainment hire ideas, games and rides to expand the entertainment value of your party, event, fete or fundraiser. We offer fun casino games using funny money through Aces High Casino, and customised theme nights. Expand the fun and imagination of your occasion by hiring from our huge range of party games, mechanical rides and trade shows equipment hire services; explore our range via the buttons above. If you have a particular theme idea but aren't sure how to pull it off, feel free to call us on 1800 133 041 for some friendly, helpful advice. Active Amusements & Attractions covers all Queensland, Brisbane, the Gold Coast and most parts of Australia. We carry $10 Million in public liability and general insurance; this policy is a genuine on-shore policy as opposed to offshore insurance. Call us now for the most competitive prices and unsurpassed service.